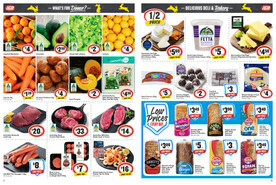 IGA is a chain of independently owned supermarkets across Australia. 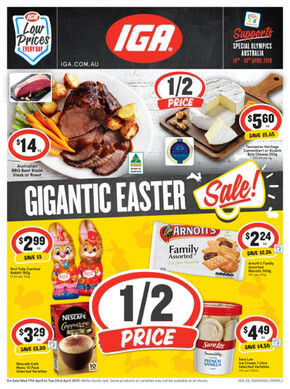 IGA understands that Australia is a culturally diverse nation and that each city or town where there’s an IGA store is different. As such, their range of products and brands are tailored to give local customers more of what they prefer. 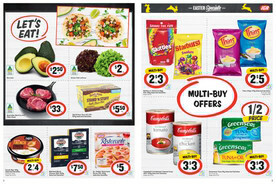 Check out the IGA weekly ads and catalogues online for all the latest deals and specials. 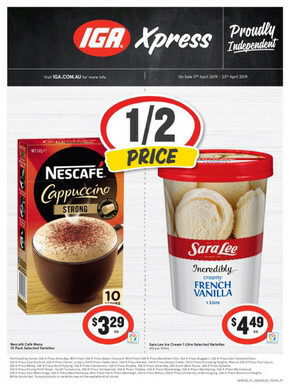 Each week, participating IGA stores check the prices on hundreds of everyday products against the major national supermarket chains and then match them for you. Their Price Match Promise means you can shop independent without breaking the bank. 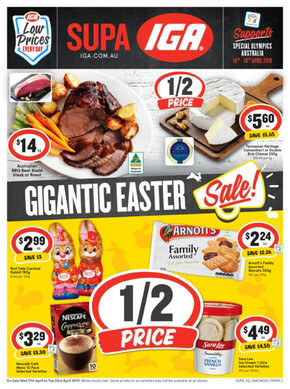 You’ll never pay more than you have to at IGA. 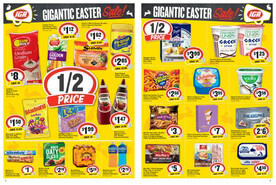 IGA are locking down low prices on hundreds of products in store. Look for the Lock next time you’re shopping to save on your favourite groceries, toiletries, household goods and more. You can find the latest flyer with the best deals, specials and promotions, along with opening hours and a store locator, at the Shopfully site and app.